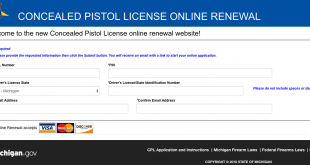 Patriot Defense Training is a Jackson Michigan based training organization that focuses on empowering Patriots (you and me, American good guys and gals with guns) to defend themselves, their family and property from those who would do you harm. 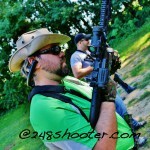 Brad VanValkenburg (Don’t worry you wont need to say his last name) is the owner and primary instructor. 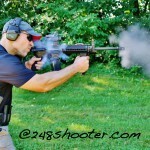 Take a look at just a small sample of the training Brad brings to the table. This is just a few of the highlights from his collection of training. You can read more here. None of this training however tells you anything more then his skill level. When picking an instructor skill is important but experienced people will tell you the most desired skill is actually the ability of the instructor to teach. Brad excels at making complex strategies appear simple, breaking them down to the basic function, then explaining the rational for the motion. In the level 1 fundamental classes you will see time put into what the least required motions are for any given action, how to do them and why you do them a specific way. You will walk away with not just a series of commands on how to do something, but a general understanding of WHY you do it that way. 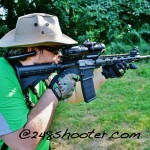 This allows you to learn to become a problem solver in the field and not just a mindless order follower. 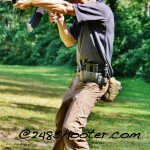 Each class is taught at the level of each shooter. Initial skill sets of each shooter are determined based on a simple drill at the beginning of class that sets the tone for the day. This initial test also serves as a benchmark for improvement through the day. 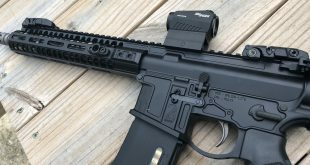 This initial evaluation is done in a safe, relaxed and judgment free zone that allows the shooter to do what they do they way they do it without judgement or criticism. We had varied levels of students from retired military to level 3 students as well as a family that had not taken any classes yet. Among those were people who had gear set for BOB, Competition and some with bare bones iron sites. However nobody acted better then anyone else and all discussion was done in a friendly manner without the need to boost ego’s. At the after class assessment that Brad does in every class it was clear that all the students learned and felt comfortable in the group, regardless of trigger time or money spent on gear. I am spending a lot of time here talking about the atmosphere of the class as opposed to the actual lessons learned. The reason for this is because there is so many talented instructors in the market that if that is all you care about, then PDT may not be the best choice for you. 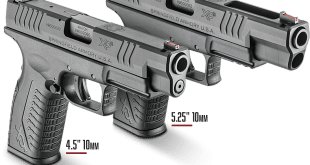 What I have seen that separates Patriot Defense Training is the manner in which the class is held and the way the students feel taking the class. 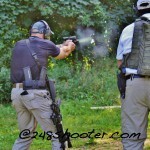 248Shooter and PDT are aimed at new shooters and those who are still looking to learn more. 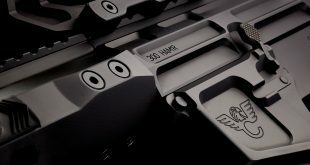 We have no interest in the arguments the separate and divide many members of the gun community that consider themselves tier 1 operators. Focusing on this interested in learning demographic is what has made PDT grow so very fast. In the class I went to, 30% of the students are return students. Of those 30% of returning students every one of them had been to multiple classes with Brad. They keep coming back and keep paying to come back because of the fundamentals PDT focuses on and the manner in which Brad teaches. For new shooters that are intimidated at ranges by know it all RSO’s or macho gun store employees PDT is the place you want to be. Want to know more and don’t know where to start PDT is where you want to be. Been taught by a well meaning family member who has no actual training this is where you want to be. 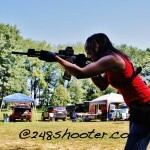 Been wanting to get into competition shooting but are afraid of not knowing how to start this is where you want to be. You have a weapon sitting in your closet that you intend to rely on but don’t shoot it monthly then this is where you want to be. Took a CPL but don’t know how to really handle a stressful situation then this is where you want to be. 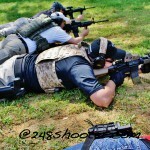 Training is offered several locations that allow for a much more active shooting experience then you will ever get at a typical range. Rumor has it this will be expanding further in the 2014 cycle. As for the actual class what you do and how you do it will depend on several factors. 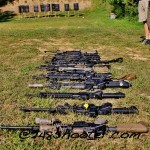 Collection of AR-15 and AK-47 at the PDT Carbine course. Brad from PDT teaching the class. 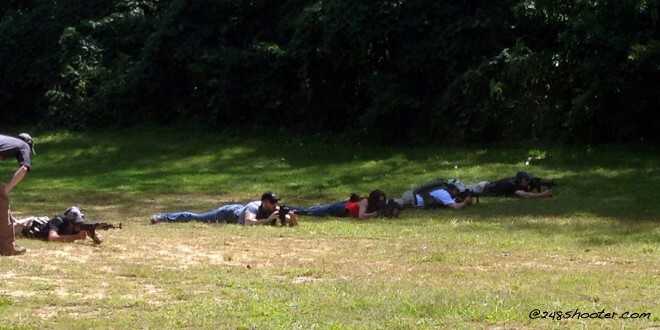 Prone shooting and learning how to find a natural point of aim. Scan for targets after engagement. From 50 yards to 3 and back again. Shooting on the move. Talented female multi class graduate. 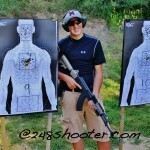 Multi class graduate sporting an Eotech. Most improved shooter of the day. Multi class graduate showing the class how it is done. 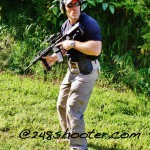 One of the 248Shooter team during initial qualification. During the post graduation after action report it was very clear that even the most educated of the classmates had learned skills or methods of doing things that they intended to incorporate into their Standard Operating Procedure (SOP). Both the new and the older students all expressed interest in attending either advanced level 2 courses or fundamental classes on another platform. 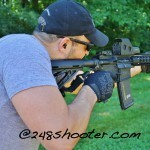 I know personally I desire to do both the Carbine level 2 class as well as his shotgun and handgun courses with the intent of bringing Mrs. Shooter to the handgun courses. Considering this is a one day class and all of this involved hands on doing that is more then I ever expected to see covered. However it was not rushed. Each moment of the day is used for instruction from set up, lunch, and graduation to make sure you are full immersed in the experience. Included with each graduation certificate is access to a special group on Facebook that is private. 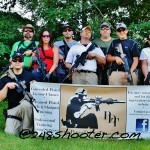 This group consists of all the previous graduates and is a forum for all of these like minded individuals to talk about the classes, gear, techniques and policy that affects us. This access alone from what I have seen is worth the cost of the class. In summary Brad and PDT do it right. Regardless of your skill level or your reason for coming there is a place for you here. 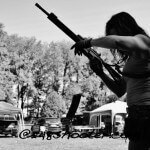 If your new to shooting, want to get better or just want to be confident in your established skills the small investment of money to take this class is worth it. When the time comes that you may be in a situation that requires you to draw your weapon you want to know that you do so knowing how to handle yourself. The added benefit of taking a course like this will if nothing else show those who Monday morning quarterback that you spent your hard earned money and precious time to prepare yourself for a worst case scenario. More importantly the fluid motion and on your feet thinking skills that are developed here may be what saves you or your loved ones life. 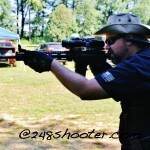 Find Brad and Patriot Defense Training online at his website http://www.patriotdefensetraining.com or on Facebook. 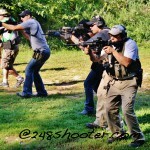 Stay tuned to 248 Shooters Facebook page in the coming weeks for your chance to win a free class. There is to much to cover in a single article. 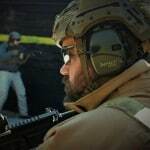 We will be adding to this with a second article based around what to bring to the class and choosing the right gear for your situation based on his instruction. We will also go into why classes like this are more important then you may think. 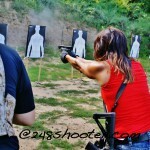 Also a full gallery of photo’s from the day will be included to you can get a feel for a class.